← Is Advertising Really Necessary? 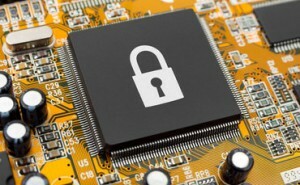 The folks over at GNU have a peti­tion up regard­ing UEFI Secure Boot. Before those of you who don’t read my com­put­er tech­ni­cal arti­cles flip away: con­sid­er that this is very impor­tant and that I will try to min­i­mize the tech­ni­cal details. At the very least, please go sign the peti­tion which states, in part, that you will not buy or rec­om­mend buy­ing any com­put­er that incor­po­rates this tech­nol­o­gy. What is UEFI Secure Boot and Why Do I Care? In sim­ple terms, Secure boot is a tech­nol­o­gy that pre­vents any unsigned oper­at­ing sys­tem soft­ware from run­ning on a com­put­er. Advo­cates will tell you this is for your own pro­tec­tion. When you hear a phrase like this, you should be appro­pri­ate­ly scared and angry in equal mea­sure. What’s actu­al­ly hap­pen­ing is that Microsoft, Apple and hard­ware man­u­fac­tur­ers are col­lud­ing to pre­vent you from run­ning any oth­er oper­at­ing sys­tems on that hard­ware oth­er than ones they have approved. The most fun­da­men­tal thing to rec­og­nize here is that there is an orga­nized cam­paign by many dif­fer­ent orga­ni­za­tions to wrest con­trol of your com­put­er that you paid for from you. It would be far more con­ve­nient for them if you could only do things that they allow you to do. You can already see this on a num­ber of small­er devices. The i-things are quite famous for this. You can only run soft­ware that you buy at the i-store on the i-things. You can’t run anoth­er oper­at­ing sys­tem. You can’t run unap­proved soft­ware. What they give you is a very shiny cage in which you can only do the things they approve. I don’t believe it. How do I STOP Secure Boot? The tech­nol­o­gy of Secure Boot is already built into many devices. At this point all we can do is stop the spread of secure boot to PC-class hard­ware. Unless some­thing dra­mat­i­cal­ly changes, we’ve already lost the bat­tle with i-things. New PC-class hard­ware with secure boot is only now emerg­ing on the mar­ket, how­ev­er. Start by Sign­ing The Peti­tion. Pay atten­tion to what the FSF has to say. Read Slash­dot and Groklaw reg­u­lar­ly (they cov­er these issues well). Con­sid­er join­ing your local EFF. Most of all and most cringe wor­thy, start car­ing about the tech­nol­o­gy they’re feed­ing you! This entry was posted in FreeBSD Tech, Life, Rant, Tech and tagged boot, fsf, gnu, secure boot, tech, uefi, uefi secure boot. Bookmark the permalink. Just what this world needs … more peo­ple try­ing to pro­tect us for our­selves … hey, Big Broth­er, let us decide our own fate, eh? How’s that peti­tion going ? Per­haps instead of try­ing to kill the stan­dard you should have embraced it. Its a self ful­fill­ing prophe­cy the blame rests on the FSF.